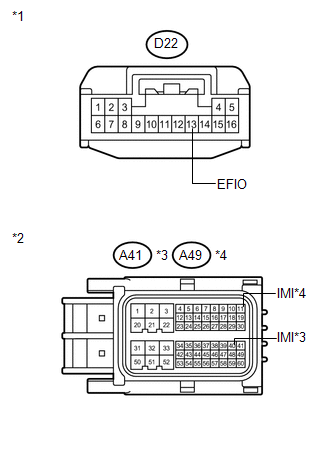 If the communication line (EFIO-IMI) to the transponder key ECU assembly is stuck high output (e.g. shorted to +B), the ECM stores this DTC. Communication line (EFIO-IMI) between the ECM and transponder key ECU assembly is stuck high output. (a) Recheck for DTCs (See page ). 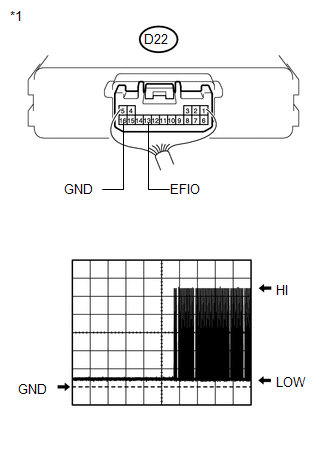 If any DTCs other than DTC B279A are output, troubleshoot those DTCs first. (a) Reconnect the transponder key ECU assembly connector. (b) Reconnect the ECM connector. (a) Replace the transponder key ECU assembly (See page ). DTC B279A is not output.